Multi-million-selling electronic artists Morcheeba have launched a minimix to celebrate the release of their new album, 'Head Up High' via [PIAS] Recordings this October. Teasing each track from the forthcoming album, the minimix gives fans a chance to preview the band’s new material since 2010’s ‘Blood Like Lemonade’. The video for the band’s single ‘Gimme Your Love’ has racked up over 324,000 views to date and can be viewed here. 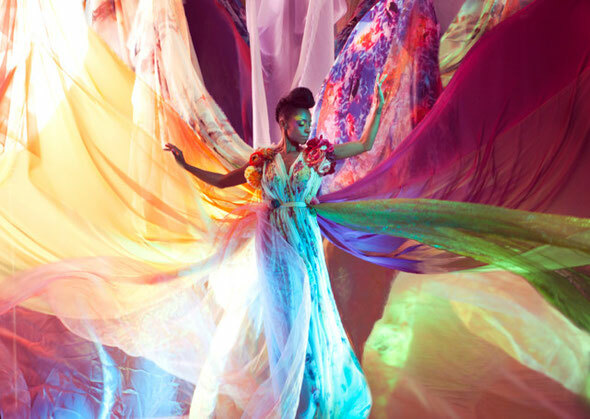 Directed by Prano Bailey-Bond, the video portrays Skye in a dizzying kaleidoscope of technicolor, her looks exemplified by the floral backdrop and billowing silk gowns. All the costumes for the video were specially designed and created by Skye, drawing inspiration from the seductive brooding landscape of this synth-driven track.